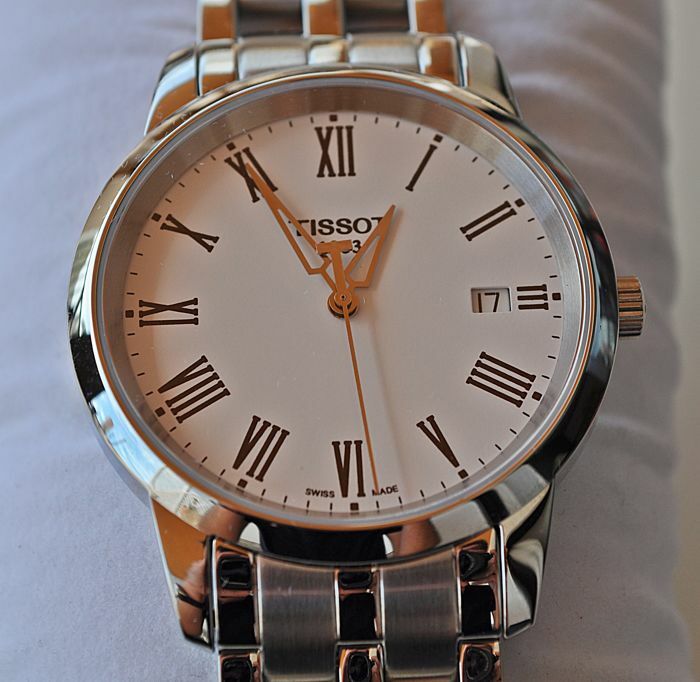 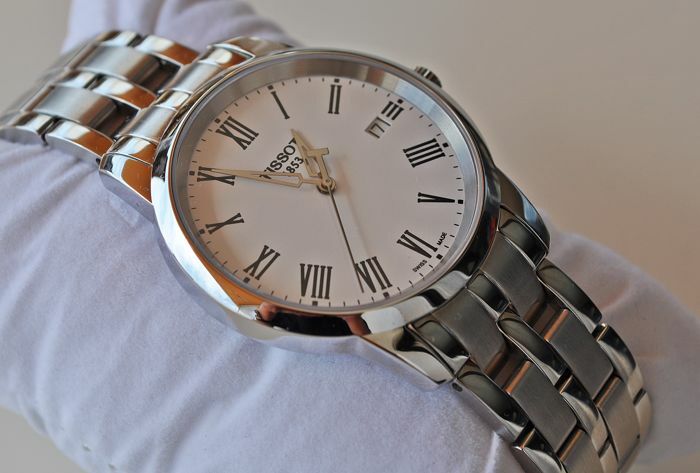 A unworn elegant Classic Dream Tissot. 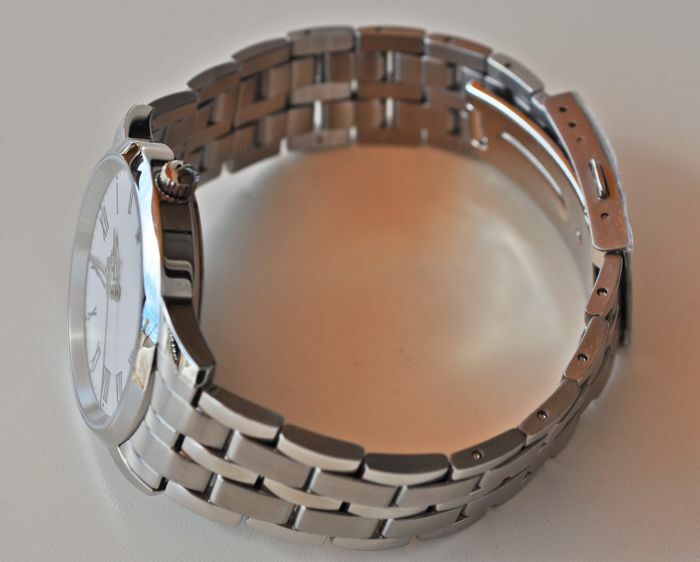 Mirror polished stainless steel 40mm in diameter and just 7.5mm in thickness, the case back has been inscribed with a company name, please see photos. 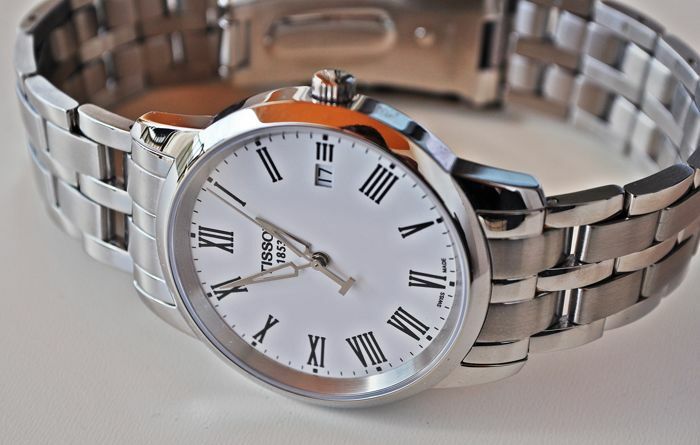 Beautiful and very sharp white dial with Romans. 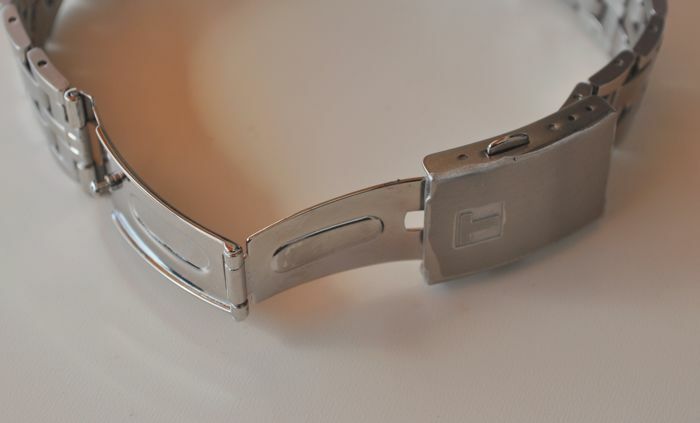 Stainless steel with deployment clasp, the clasp still has the protective plastic on it, 170 mm in length excluding case. 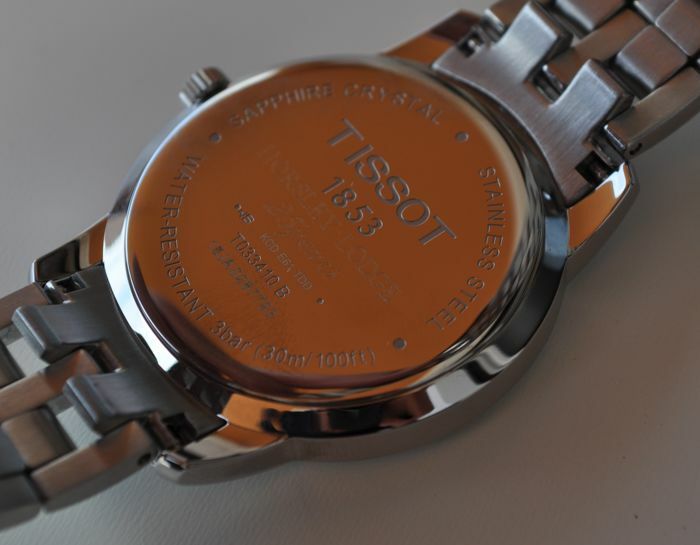 The watch will be shipped carfeully and fully insured.